Tea and Toast | eat. play. sleep. It was a rainy afternoon. To wet to go outside. Mommy said “Let’s make bread!” Ava wanted to make them pink. PINK PINK PINK! Whilst Emily had her afternoon cutie sleep, Ava and I made a lovely loaf of bread, drank some tea in big girl tea cups (thanks to all who contributed to my wedding china…those cups and saucers are being put to good use! 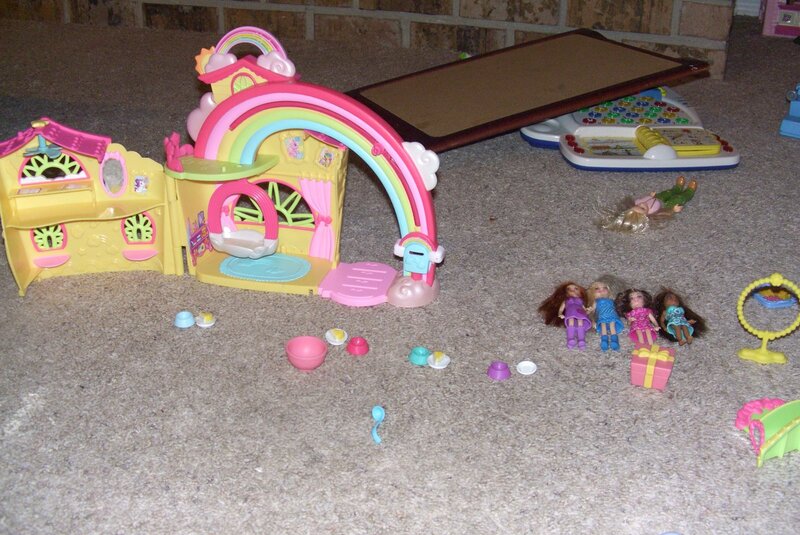 ), ate cinnamon toast, and played with our Polly dolls (thanks, Nana, for the best present ever!). I have to share this recipe with you, because I know that a lot of people are intimidated by bread baking. I know I was! First, yeast is rather scary – eeew, it’s alive – and second, it can take a loooooong time, what with all of the rising and punchinig down and kneading. I found this recipe online somewhere and am so happy that I finally gave it a try. I hope you do too! Use large bowl. Dissolve yeast in half cup warm milk, stir a few minutes. Add salt, sugar and butter, mix well. Sift flour into bowl and add the rest of the milk, mix again. Place dough on a lightly floured board and knead with hands until dough is smooth (5 to 10 minutes). Form loaf and place in greased loaf pan. Place in COLD oven, set temperature on 350º and turn on heat. Bake 50-60 minutes. This is a very nutritious bread on account of the large amount of yeast. Because the oven is cold when bread is put in, the bread rises nicely. Variation: In place of flour use 3 cups bread flour, 3/4 cup whole wheat flour and 1/4 cup oats. **Notes**I used my KitchenAid stand mixer for this – used the regular beater until about half of the flour was in and then switched to the dough hook. I let it run on slow for about 10 minutes. 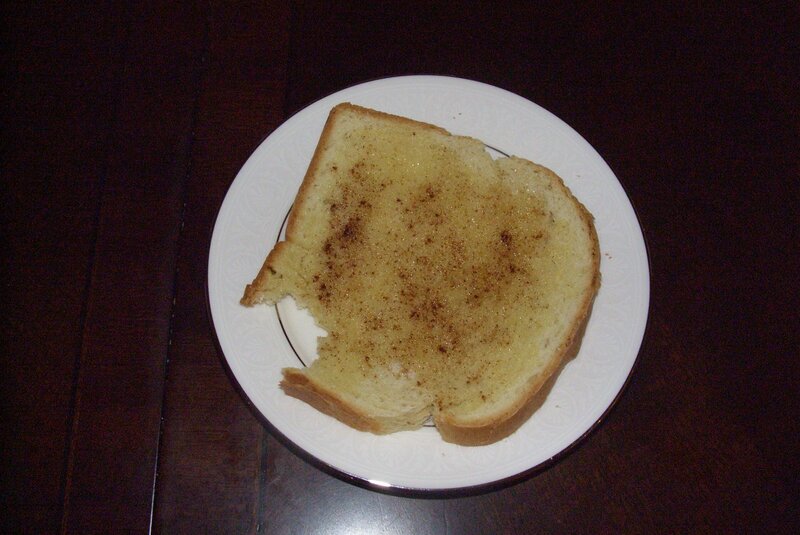 This made some excellent cinnamon toast, which went prefectly with Cambric Tea. Combine ingredients in mug or saucer. Excellent for making little girls feel all grown up. And now comes the part where you all do your best to keep me honest: I really do want to relearn how to knit. Especially due to this. How adorable is that! I don’t “do” resolutions, but if I could, that would be it. So…my goal is to make myself this sweater…before it goes out of style! I have the button and everything! So be dolls and leave me comments from time to time (heck, do that anyway!) and remind me of this post, pretty please? Oh, and if you are a tea drinker and you live in Portland- get yourself to the Stash Tea Company’s Catalogue Store near Bridgeport Mall. 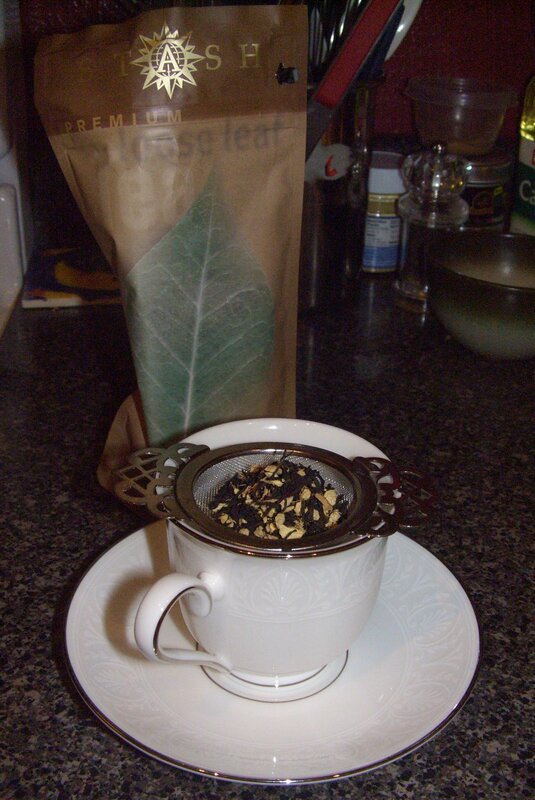 All of their teas are loose leaf, they have a great selection of tea pots and cups, and SAMPLES! ← You MUST make this soup!